I keep two bottles of olive oil-one in my kitchen cupboard and one under my bathroom sink. It works great as an all-natural, hypo-allergenic skin moisturizer. I love to apply it to my body straight out of the shower. Oils help to moisturize the skin better than lotions because they penetrate deeper into the skin, and they also acts as a skin protectant, holding moisture in. I don't however apply it to my face, to avoid getting more acne breakouts. I suggest you use extra-light olive oil to avoid smelling like an olive bar. You can also mix it with citrus juice or essential oils to add a scent. You can also add Vitamin E oil for better moisture. If you prefer all-natural beauty products, you know that pre-packaged natural skin care can get expensive, costing an average of $20.00 to $40.00 a bottle. However a medium bottle of olive oil can cost as little as four dollars, and since a little goes a long way, it also lasts much longer than lotions and creams. Olive oil is also a great all-natural moisturizer for hair. I use it in my hair as both a deep-conditioning treatment as well as a leave-in conditioner. It helps to naturally moisturize, smooth split ends and tame frizz. To use as a deep conditioner, apply generously to hair from scalp to ends and let soak in for at least thirty minutes. Be sure to wrap hair up in a towel or tie it up in a bun. You don't want oil-soaked hair touching your neck as it can cause an acne flare up. After it has had time to soak in, shampoo your hair as usual. To use it as a leave-in conditioner and defrizzer, place a tiny amount (start with half a dime-size amount) and rub it all over your palms. Apply lightly and evenly to hair, avoiding the roots, and brush through hair. Style as usual. I add olive oil to hair conditioner (the type you rinse out) and love the results. I may try it with the leave in type too. Great tips, Christina. This sounds good, Christina. I've also been using cucumber slices to my eye lids while relaxing in the tub. Oh, does that feel good on tired eyes! Oh I so need to do that too, Lorelei! My dark under-eye circles are aweful lately!!! 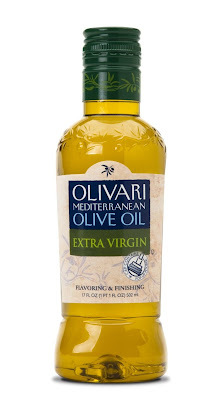 I've read about Crisco for face and elbows, but I've not heard of olive oil for moisturizing. It makes sense.